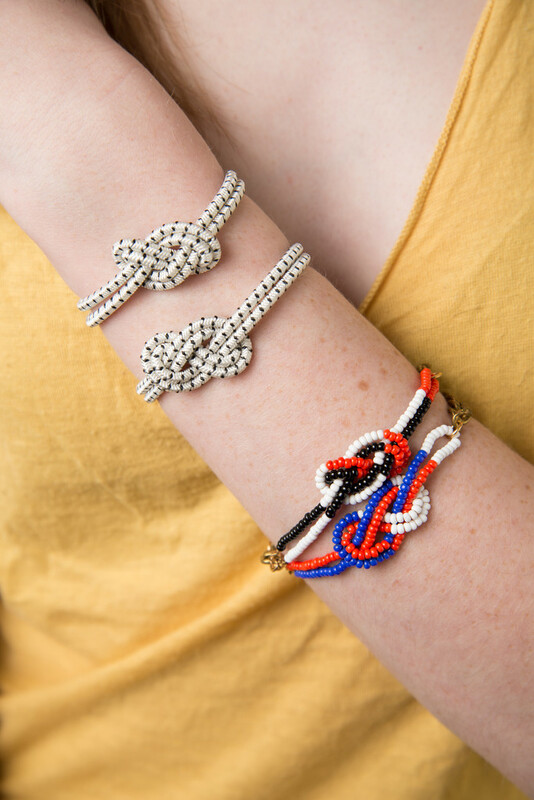 A nautical staple that looks good on everyone. 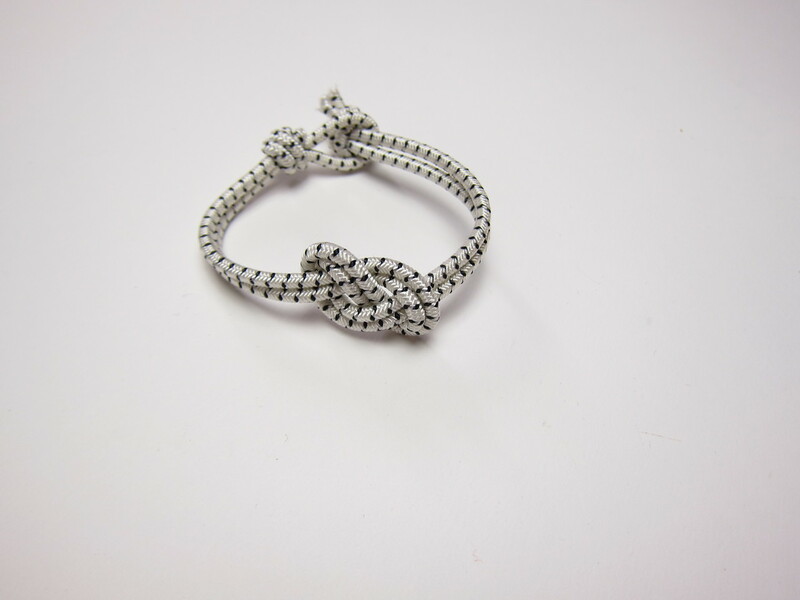 Comes in two sizes, Medium (8") and Small (6.5"). 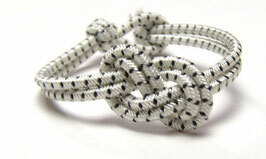 White bungee rope with black dots.